April is National Grilled Cheese Month, and I'm excited to share a gourmet grilled cheese sandwich that seafood lovers are guaranteed to go crazy for! I used nutty Comté and smooth-melting Gruyere cheeses to create my Shrimp Scampi Grilled Cheese. My inspiration was two of my favorite dishes: cheesy garlic bread and buttery shrimp scampi. French cheese, artisan bakery bread...and the addition of shrimp scampi and a garlic compound butter...takes this sandwich right over the top. Wait until you see how easy this flavorful grilled cheese is to whip up...one bite, and I guarantee you'll be hooked! 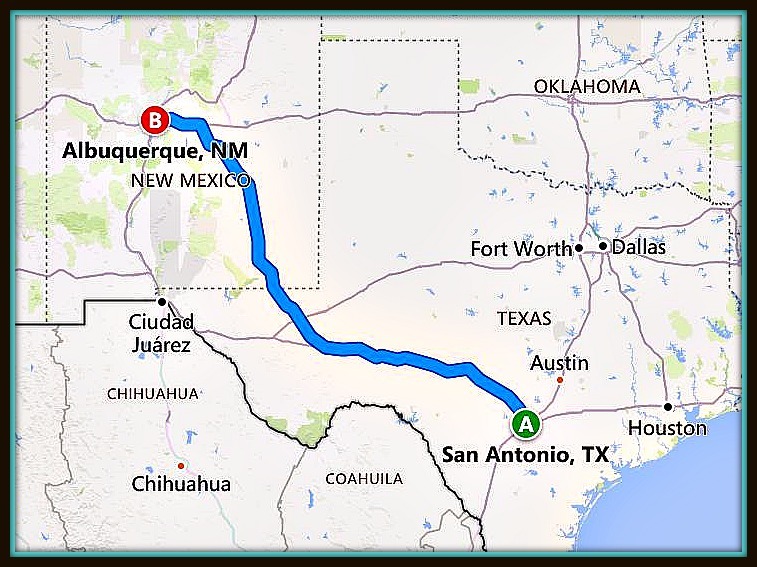 Michael and I recently enjoyed a leisurely weeklong road trip from San Antonio to New Mexico. The debate over the benefits of car road trips versus plane trips is one travelers often debate. Both modes of transportation offer travelers distinct advantages. Key benefits of road trips include time to really enjoy views of scenic landscapes, flexibility to take short side trips whenever an opportunity presents itself, and the ability visit more than one city/state during a single trip. During our New Mexico road trip, we visited West Texas and three distinctly different areas of New Mexico over eight days! I can't wait to share the best food, sites, and attractions we enjoyed along our route...starting with an overnight visit to Albuquerque and the Sandia Peak Aerial Tramway. 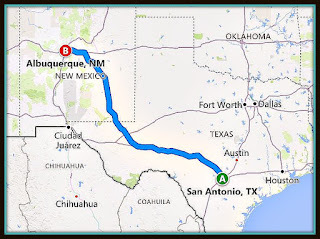 Albuquerque is ideally situated in North Central New Mexico, located just over an hour from Santa Fe. This location makes it convenient to visit both cities in one trip. A great resource for planning a trip to Albuquerque is Visit Albuquerque, the city's official tourism office. Their website provides a wealth of information about things to see and do in the city, so be sure to check out their website when planning your visit to Albuquerque! 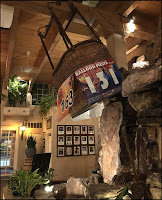 We only had an evening to spend in the area this trip, and Visit Albuquerque helped us locate a fabulous bed and breakfast and restaurant to feature. We arrived at the charming Morning Star Bed & Breakfast -- located just north of Albuquerque in the town of Corrales -- just before sunset. We drove through the gate at the entrance of the property and parked in front of Morning Star's traditional New Mexico-style adobe home. 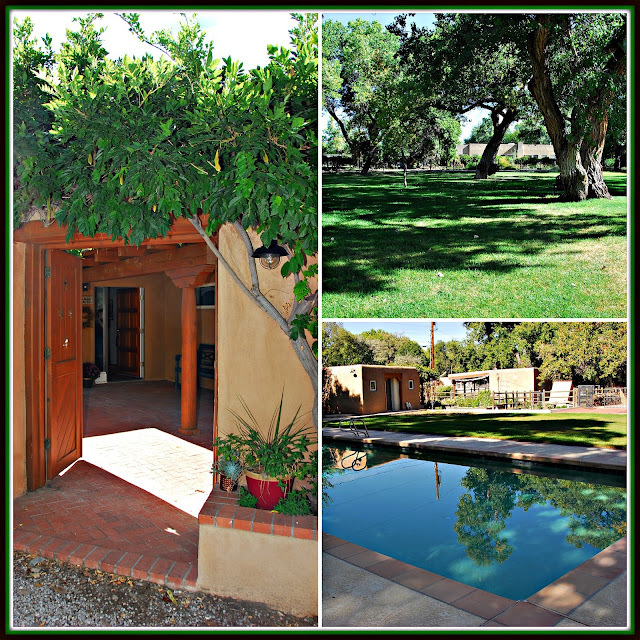 The spacious grounds of the property were so peaceful There are tons of large cottonwood trees on the grounds, and the back yard features a large backyard pool. 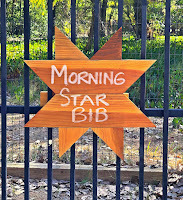 Innkeepers John and Carrol Casburn warmly greeted us in Morning Star's large courtyard entryway. 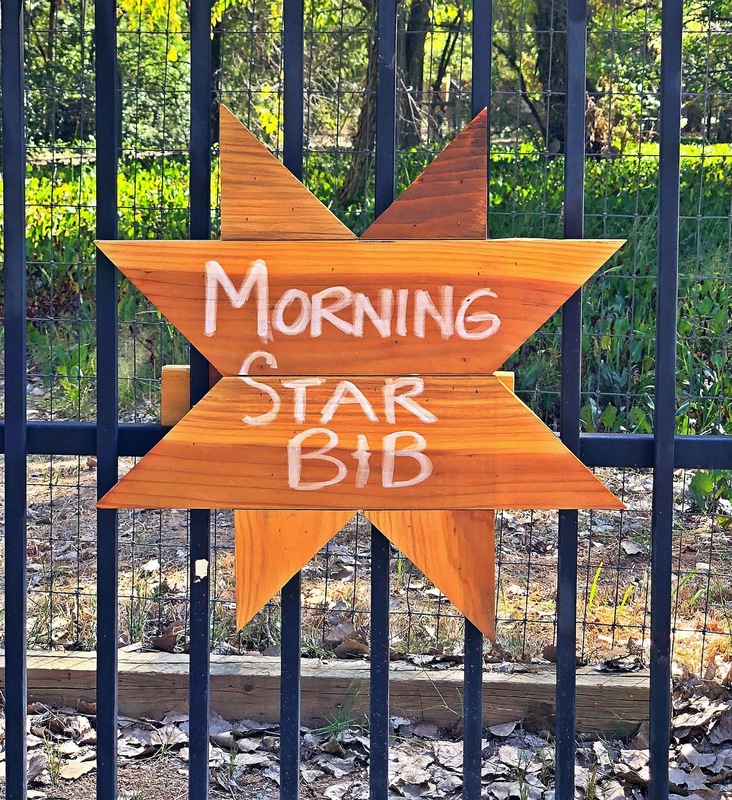 After a full day of driving, Morning Star was definitely a peaceful oasis to recharge! Carrol is an interior designer who beautifully decorated every room at Morning Star. John is a fabulous cook who bakes goodies for guests to enjoy in the inn's large kitchen...and he also cooks hearty, delicious breakfast for guests each morning. We honestly felt like guests in their private home instead of customers, because John and Carrol were so welcoming. Carrol showed us to our large suite, which featured a full private bath and a comfortable King bed. As this video shows, Morning Star -- including our room -- was gorgeous! I especially loved the Georgia O'Keefe framed prints hung in the hallway. After we settled in our room and rested for a bit, it was time for dinner at El Pinto. 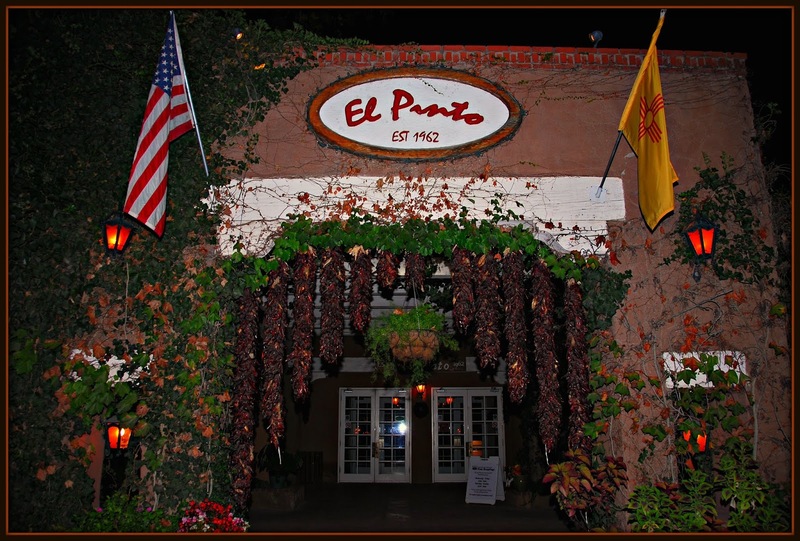 Open since 1962, El Pinto is one of Albuquerque's most iconic restaurants. 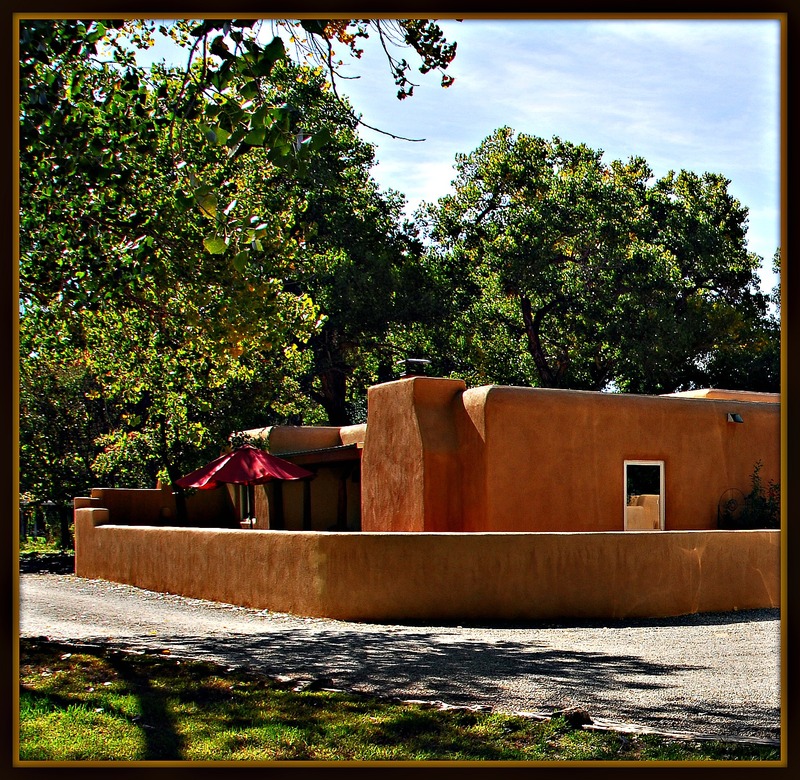 The menu features flavorful New Mexico cuisine. We were very curious to taste a variety of New Mexico-style menu items to see how it differs from the Tex Mex we're used to at home. New Mexican cuisine incorporates elements of both traditional Mexican and Native American cuisine, with a focus on the state's spicy red and green chile peppers. 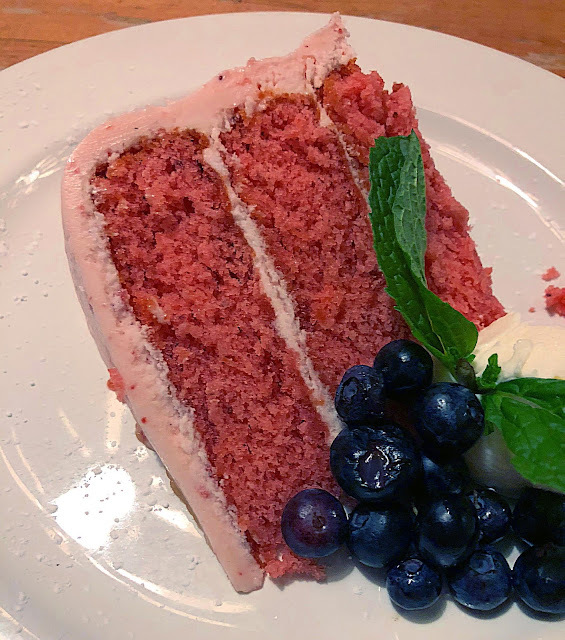 The end result may be slightly different...but it's totally delicious! We started our meal with drinks and El Pinto Chile con Queso, which has been served at the White House! The dip featured melty cheese and chopped fresh green chiles. It was spicy and cheesy...a great start to our meal. We also tried El Pinto's famous Red Chile Ribs -- named by Food Network as #3 ribs in the U.S. Baby back ribs are marinated in spicy red chile and slowly baked until they're fall-off-the-bone tender. They were definitely spicy...and so good. For our entrees, we opted for combination plates. 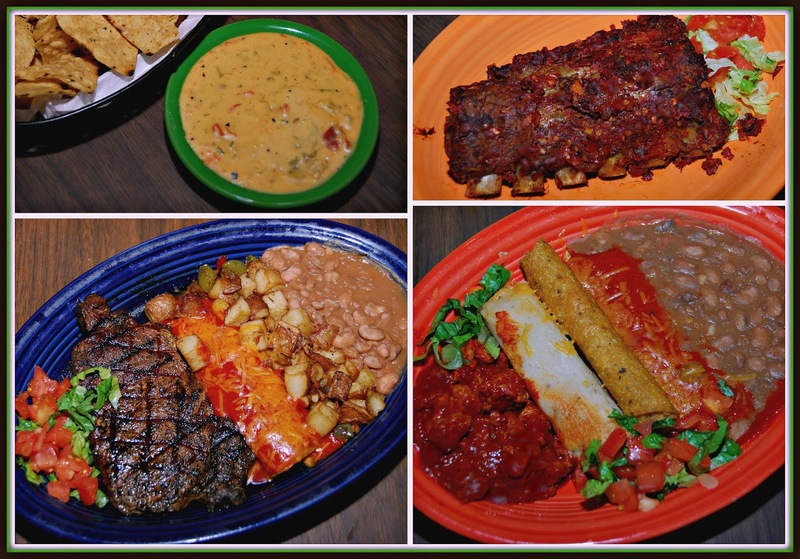 Michael selected the Ribeye & Enchilada plate, which featured a perfectly grilled ribeye steak, a red chile beef enchilada, fried potatoes, and pinto beans. I opted for Combination Plate #1, which included a rolled taco, pork tamale, red chile cheese enchilada, meaty chile con carne, and pinto beans. This strategy was a perfect way to sample a variety of menu items -- all spicy and expertly cooked. One difference we both noticed: the texture of our pinto beans was somewhere between the soup-like borracho beans and smooth refried beans we typically see in Texas. We were very impressed with our food, which was spicy without being too spicy. Before we bid farewell to El Pinto, we shared a duo of desserts: sopapillas with honey, and a perfectly creamy flan. The sopapillas arrived at our table hot, with a golden flaky exterior and a fluffy interior. Simply add a drizzle of honey inside and enjoy! The flan was rich and perfectly creamy. This dessert duo was a perfect ending to a fabulous meal. El Pinto is huge -- with seating for more than 1,200 hungry diners. There are outdoor patios, and several indoor dining rooms. If you're looking for authentic New Mexican food in Albuquerque, El Pinto is a delicious choice! Easter is coming up later this month...can you believe how quickly the year is hopping along?!? Last weekend, I teamed up with my Mom to create a festive Easter tablescape! Today, I'm sharing step-by-step instructions to create this Easter Basket themed tablescape. The end result is adorable to look at...and it features an array of tasty Easter treats your guests can enjoy! I promise that my Easter tablescape is so simple to make that ANYONE can do it. Feel free to customize the tablescape to include your favorite Easter décor and flavors. 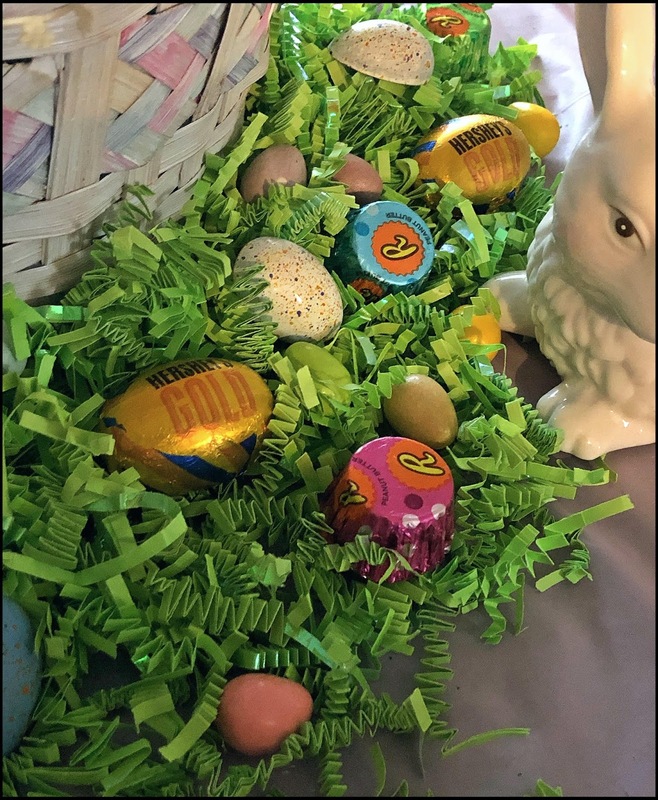 All you need is a large Easter basket and crinkly Easter grass, fun Easter candy and confections, and any other seasonal décor that you have. The key is to have fun and let your imagination inspire you! Step 1: Gather All Your Easter Décor and Goodies. Having your supplies set up around the table -- the same principle as mise en place when cooking -- lets you see exactly what products you have to work with. My Easter tablescape is comprised of treats that range in size from large to small...and tall to nearly flat. That variation provides visual appeal to the final tablescape. You'll notice that I started with a floral tablecloth on the table. Because I want everyone's eyes to focus on the festive tablescape itself, I switched to a solid pastel pink tablecloth. I chose pastel pink to match my Easter décor...but any pastel color or light green tablecloth will also work. Step 2: Place a Large Easter Basket In the Center of the Table and Determine Its Focal Point. 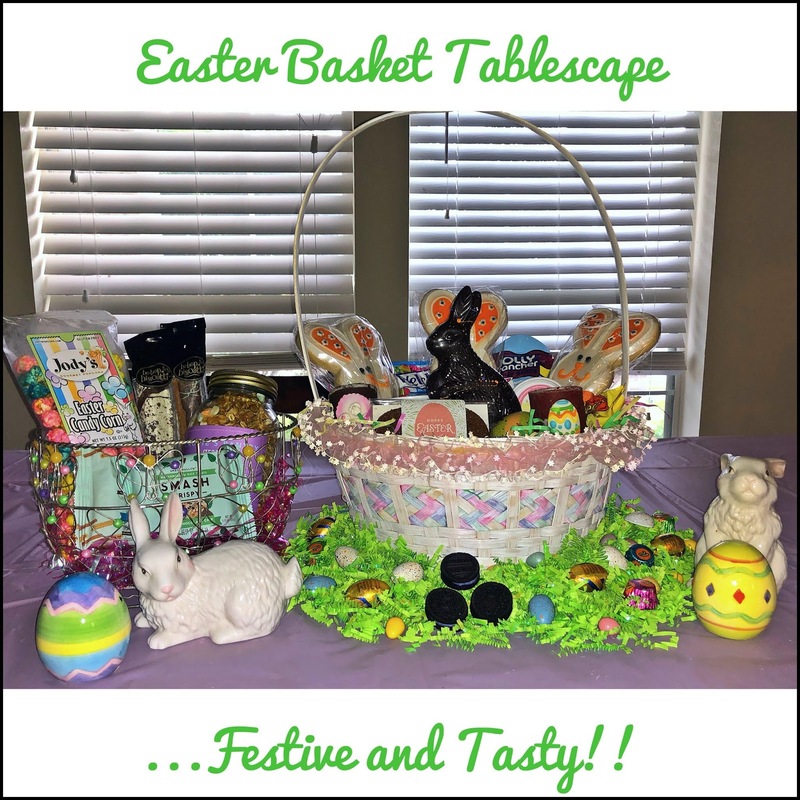 The Easter basket is the main visual focus of your tablescape. Mom had a large white basket with pink ribbon trim and pretty pastel accents. The focal point of the Easter basket is a gorgeous Colorful Bunny from California-based Kollar Chocolates. Kollar is one of the Top 10 Chocolatiers in North America, so they are true artisans. 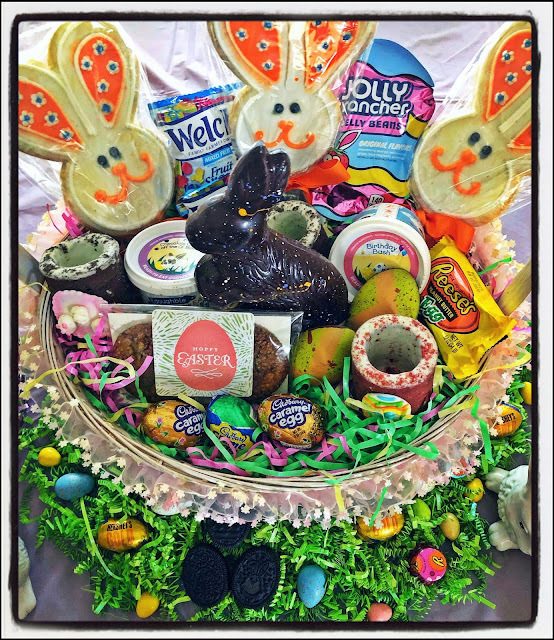 The Colorful Bunny stands in the center of the basket, and is 8 ounces of Valrhona dark chocolate. 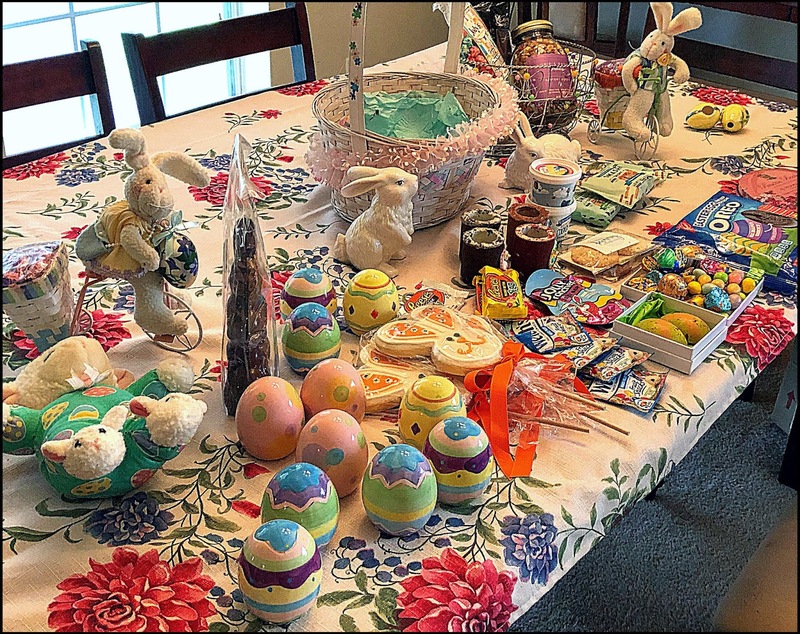 I especially love that each bunny is hand decorated with colorful splatters, making each one a unique creation. Step 3: Fill In the Easter Basket with Sweet Treats of Various Heights. The chocolate bunny is the focal point of our basket...but he's just the start! Along the back of my Easter basket, I inserted a trio of adorable decorated Easter Patchwork Bunnies Cookies from Dallas-based Cookies by Design. These large cookies come on sticks, which I anchored into floral foam placed under the basket's multicolor grass. Next, I strategically placed a trio of Cookie Shots from California's The Dirty Cookie in the basket; fill these cookies with a shot of milk -- then eat the cookie "cup" -- genius! I then filled in the rest of the basket with a pair of colorful hand-decorated chocolate eggs from Kollar Chocolates, Easter-themed edible cookie dough from Edoughble, small packages of Welch's Fruit Snacks, JOLLY RANCHER Jelly Beans, REESE'S Peanut Butter Eggs, iconic CADBURY Creme Eggs & Caramel Eggs, and festive cookie two-packs decorated with Easter stickers from South Carolina's Grey Ghost Bakery . Step 4: Place a Circle of Green Easter Grass Around the Bottom of the Basket. This grassy area is a perfect way to incorporate bite-sized sweets into the tablescape. 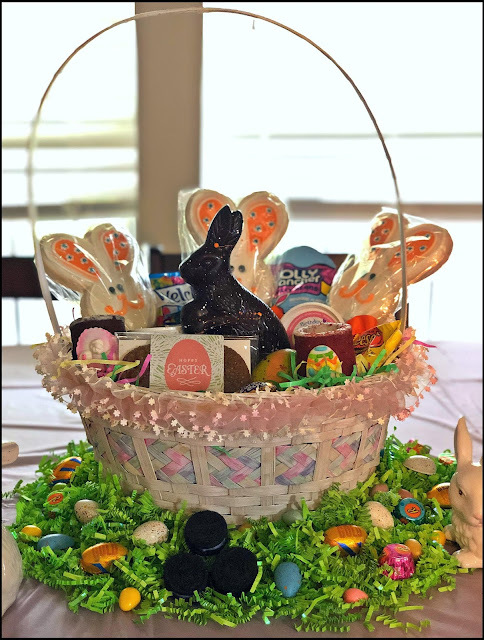 I added Mini Caramel Eggs from Kollar Chocolates, Limited Edition egg-shaped Easter OREO cookies, REECE'S PIECES Peanut Butter Pastel Eggs, new Cadbury Shimmer Mini Eggs, REESE'S Miniature Peanut Butter Cups, and Caramelized Creme HERSHEY'S GOLD Eggs with Peanuts & Pretzels. These items looked like colorful Easter eggs hidden in the grass just waiting to be found. Mom has lots of great Easter décor, so I placed a white porcelain bunny at the edge of the grass to guard the candy from sneaky hands! Step 5: Don't Panic If You Need to Add a Second Basket! I had a ton of goodies I wanted to showcase in my tablescape. 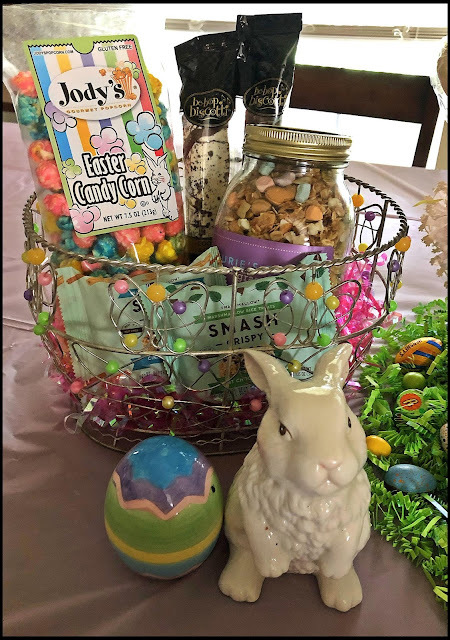 Some items didn't easily fit in my Easter basket, so they were spotlighted in a basket of their own -- a cute wire basket with pink Easter grass. Included in my "bonus basket" are colorful and sweet-salty Easter Candy Corn from Jody's Gourmet Popcorn, delicious chocolate-dipped artisan biscotti from Be-Bop Biscotti, individually wrapped Mint Chocolate Chip and Cinnamon Churro SMASHCRISPY Marshmallow Rice Treats, and fun Easter Basket Granola from Laurie's Pantry. BONUS TIP: Don't Forget to Bring a Thank You Gift for Your Easter Hostess! Celebrating Easter at someone else's house this year? Giving your hostess a gift to show how much you appreciate their hospitality is always a nice touch. I've got the *perfect* suggestion for a uniquely delicious hostess gift: Pajama Sweets Pistachio Brittle! This delicious confection from Dallas-based Pajama Sweets features classic Persian flavors like pistachio, saffron, and cardamom. This brittle isn't hard and sticky like a traditional American-style nut brittle. Instead, it's a large butter cookie combined with toffee brittle. 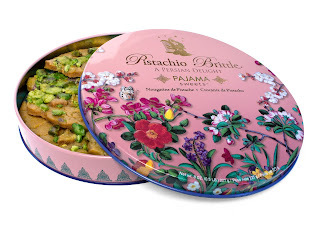 Pajama Sweets Pistachio Brittle comes packaged in a gorgeous pink tin embellished with beautiful Spring-like flowers, so there's no need to wrap it! That's it...everything you need to create a festive and fun Easter tablescape! 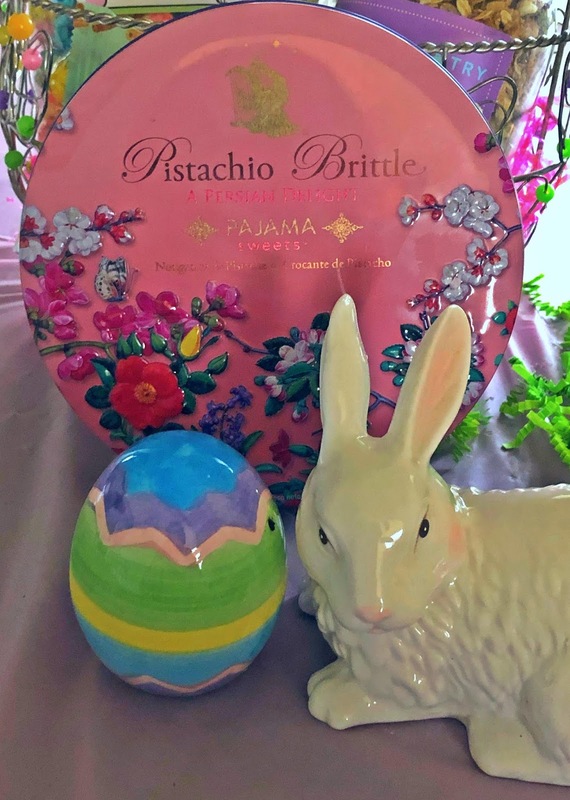 It provides a gorgeous focal point for your Easter table, and the treats in and around the Easter basket are perfect for your family and friends to enjoy as part of dessert. Remember...the key is to have fun and let your personal creativity shine! 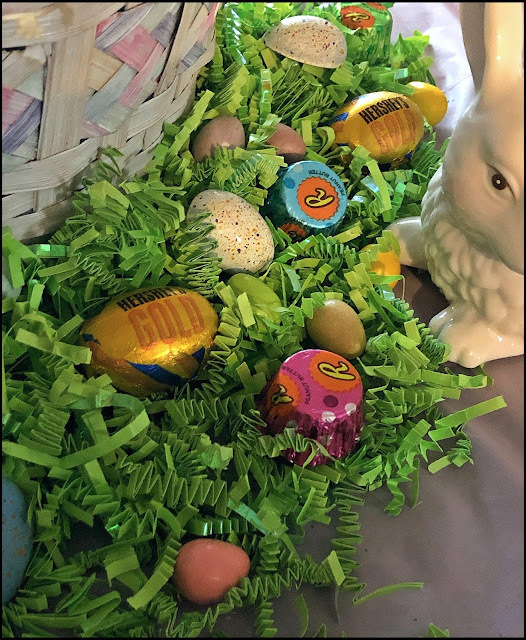 Disclosure: The makers of the treats included in my Easter Basket tablescape provided me sample products to taste and use in my tutorial photo shoot. All opinions are solely my own. Spring is in the air...and it's time for another monthly edition of my Wendy's Great Eight column! 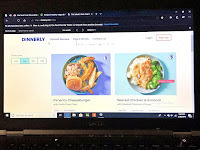 This month, you might notice that I've included a new element: because I'm following the Weight Watchers plan, I'm going to include WW Freestyle™ SmartPoints® information for every food or beverage item that I highlight -- data is calculated on the WW Freestyle™ app. I hope those of you who are following this eating plan will find the information helpful...and that you discover some new food items to add to your repertoire. 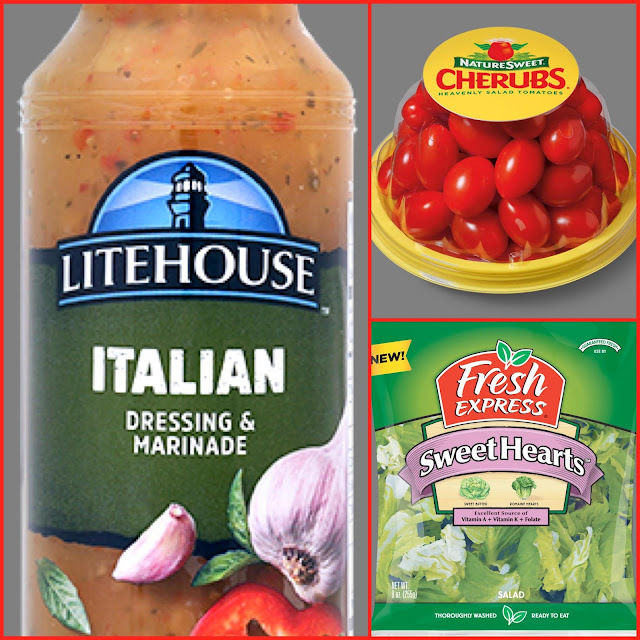 (1) Litehouse™ Foods OPA Greek Yogurt Salad Dressing. As the weather gets warmer, we start to include more main dish salads in our weekly dinner rotation. Lean protein, veggies, fruit, etc. are healthy additions...but then comes the dressing. 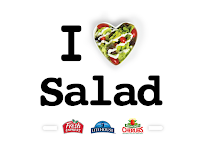 Most regular dressings contain tons of excess fat and calories and make that healthy salad...not so healthy. I was thrilled to discover OPA Greek Yogurt Salad Dressing -- it's a healthier dressing that tastes amazing! This line of Litehouse™ refrigerated dressings are creamy from Greek yogurt...so they require much less oil. I've tried two flavors so far: Feta Dill Greek and Avocado Cilantro. 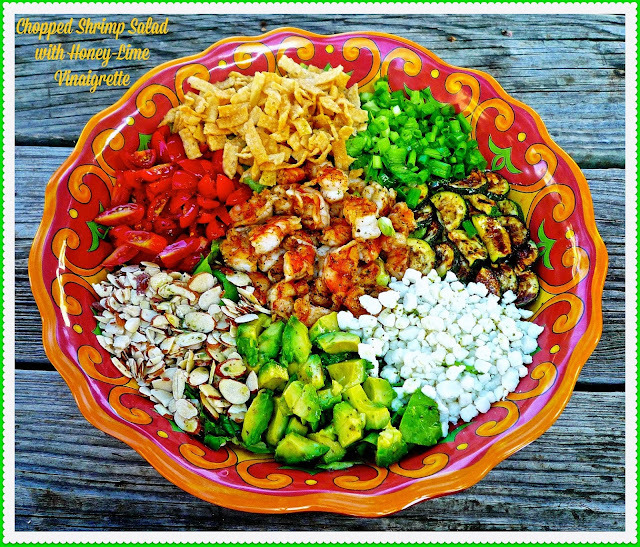 Both dresings add delicious flavor to my salads, but I'm especially partial to the Avocado Cilantro. 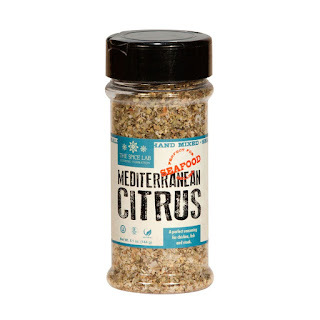 This gluten-free condiment is definitely great on salads, but I also add it to my sandwiches/wraps in place of mayo...and drizzle it on tacos. To find the entire line of OPA Greek Yogurt Salad Dressings near you, check out the website's convenient Where to Buy feature. 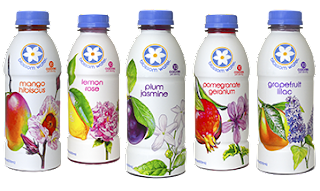 (2) Blossom Water Flower + Fruit Botanical Water. I'm always striving to drink more water every day...but plain water can be so boring! Enter Blossom Water, which is pure spring water infused with floral and fruit essences for flavor. The waters are sweetened with Stevia. The first flavor note is always the fruit essence (not juice): mango, lemon, plum, pomegranate, or grapefruit. Then comes a lingering whisper of a perfectly paired floral note: hibiscus, rose, jasmine, geranium, or lilac. Each bottle also contains as much immune benefit as a billion CFUs of probiotic. This water is so far from boring! We loved all five flavors, but my personal favorite is the Lemon Rose. It tasted like lemonade on the front end, then the fragrance/taste of rose on the end. Not bad for just 20 calories per bottle! I can see this being my signature beverage all Summer long. 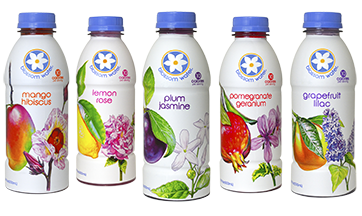 Blossom Water can currently be purchased online and shipped direct to you. WW Freestyle™ SmartPoints®: 1 SP for the entire bottle OR 0 SP for half of the bottle (8 oz.). 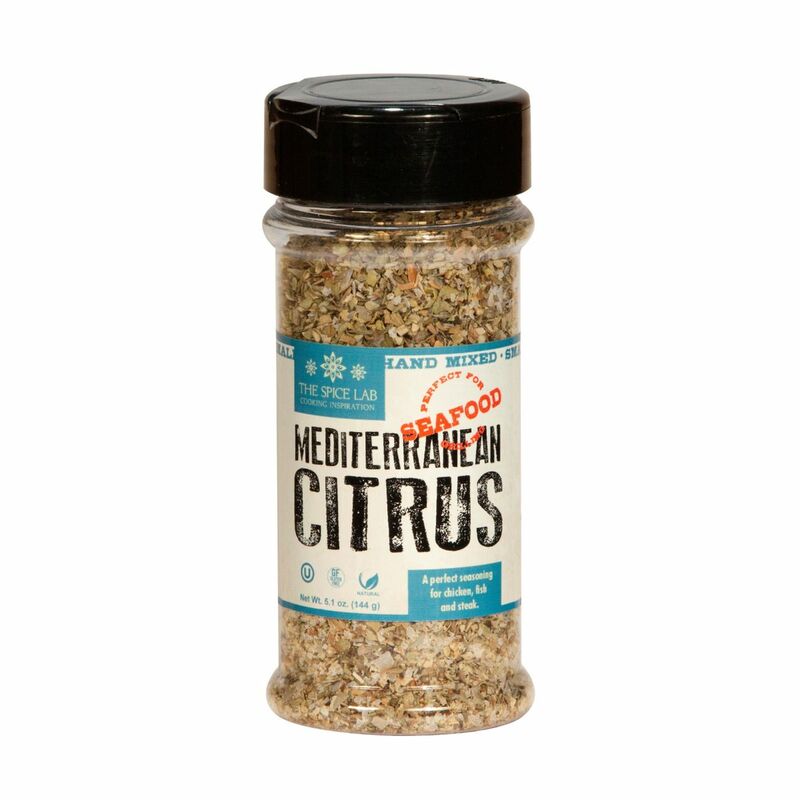 WW Freestyle™ SmartPoints®: 0 SP for herbs and seasonings! (4) Brownie Brittle Chocolate Chip Blondie Crisps. Face it: sometimes we all want...need even...a sweet treat. Preferably one that won't break the calorie bank! 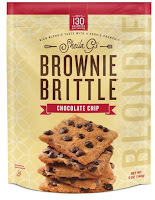 I recently discovered Brownie Brittle's amazing new Chocolate Chip Blondie crisps. 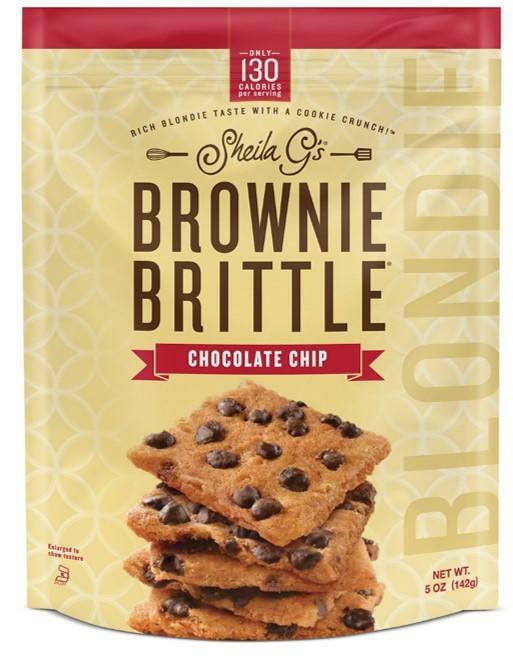 I've always been a fan of Sheila G's Brownie Brittle, but a version that tastes like crispy chocolate chip cookies? Count me in! Each one-ounce serving (4 pieces) is just 130 calories of buttery, chocolately goodness. A serving makes a delicious sweet evening snack -- the crumbs are delicious stirred into fat-free Greek yogurt too! Brownie Brittle products can be found at major retailers nationwide, and they also be purchased at Brownie's Brittle's online store. FYI...the Blondie crisps -- which also come in a Meyer Lemon version -- are a new item, so you may find it easier to locate via the online store. WW Freestyle™ SmartPoints®: 6 SP per ounce of both Chocolate Chip and Meyer Lemon varieties (four pieces of Blondie Brittle). Signs of Spring are all around us here in Texas these days! The bluebonnets are blooming like crazy, it's staying lighter a bit longer in the evenings, and temps are slowly warming into the 70s a few afternoons per week. This is the time we naturally begin gravitating toward lighter meals -- including light, yet filling main dish salads. Today, I'm partnering with my friends at NatureSweet®, Fresh Express®, and Litehouse Foods to say "Bye Bye to Boring Salads!" Today, I'm sharing a delicious main dish salad that's bursting with all sorts of fun flavors and textures -- definitely not boring. My Chopped Shrimp Salad with Honey-Lime Vinaigrette is light, but it's plenty filling thanks to all of the chunky ingredients incorporated! This Chopped Shrimp Salad with Honey-Lime Vinaigrette features grilled shrimp, creamy avocado, crumbled goat cheese (or feta if you prefer), sweet Cherubs® tomatoes, grilled zucchini, and a couple of fun crunchy components. Just before serving, everything is tossed in a sweet-tart vinaigrette. Meal kit subscription companies are an awesome way to save time in the kitchen while preparing a delicious dinner on the busiest of weeknights. These days, there are so many options to choose from, so it can be really hard to figure out which option is best for you. I've been trying out DINNERLY in my kitchen -- and there's a LOT to love! 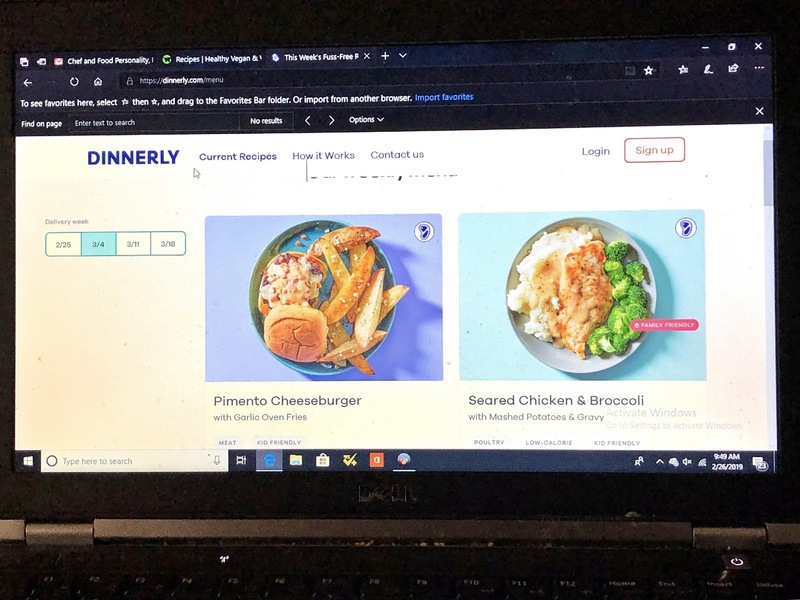 DINNERLY is an affordable meal kit subscription service specifically designed with easy, quick weeknight cooking in mind. 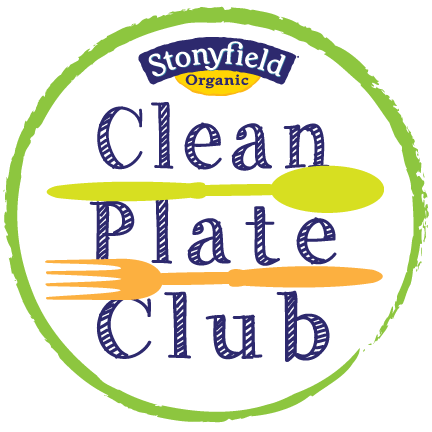 At just $4.99 per serving, DINNERLY customers receive the pre-portioned ingredients and printable digital recipe cards needed to make three simple, delicious weeknight meals. 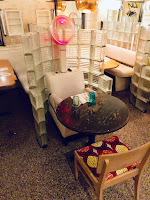 DINNERLY keeps costs low by reducing excess packaging and not providing printed recipes cards. 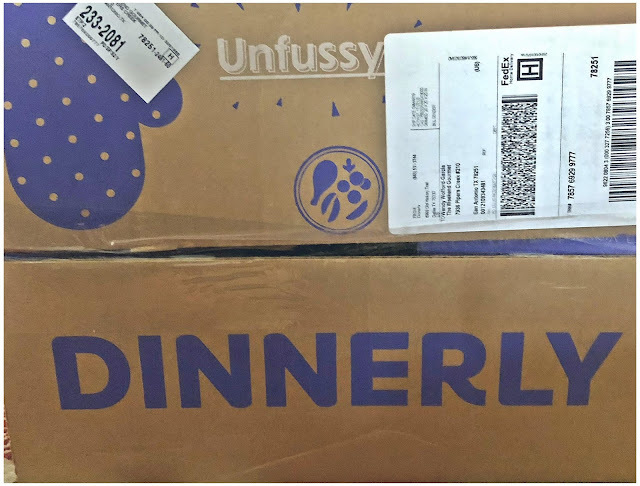 Today, I want to tell you about my personal experience using DINNERLY. I went to the website's home page and signed up for the service. The process was quick and easy! From there, I selected my three dinner recipes from the eight available options that week. I selected Oven-Fried Beef Taquitos, Seared Chicken and Broccoli, and Caramel Chicken Stir Fry. 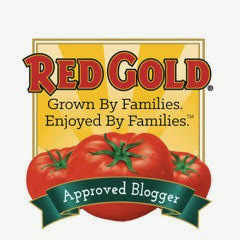 I learned that DINNERLY recipes are made with quality proteins like grass fed ground beef and antibiotic free chicken. My chilled box arrived at my front door a few days later. 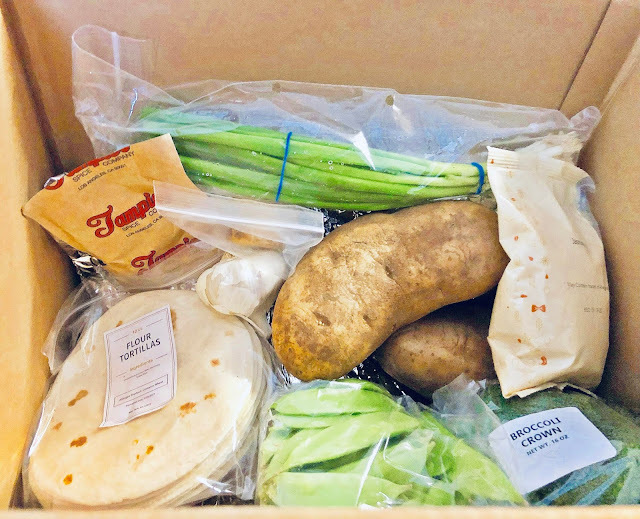 I opened the box, and all of the ingredients for my recipes were carefully packed with chill packs in a Styrofoam cooler. Inside, the ingredients arrived in perfect condition. With simplicity in mind, all DINNERLY recipes use five ingredients (or less)! That streamlined approach really appealed to me. The first meal from my kit that I made were the Oven-Fried Beef Taquitos. My first step was to pull up the digital illustrated step-by-step recipe card that was e-mailed to me on my iPhone. 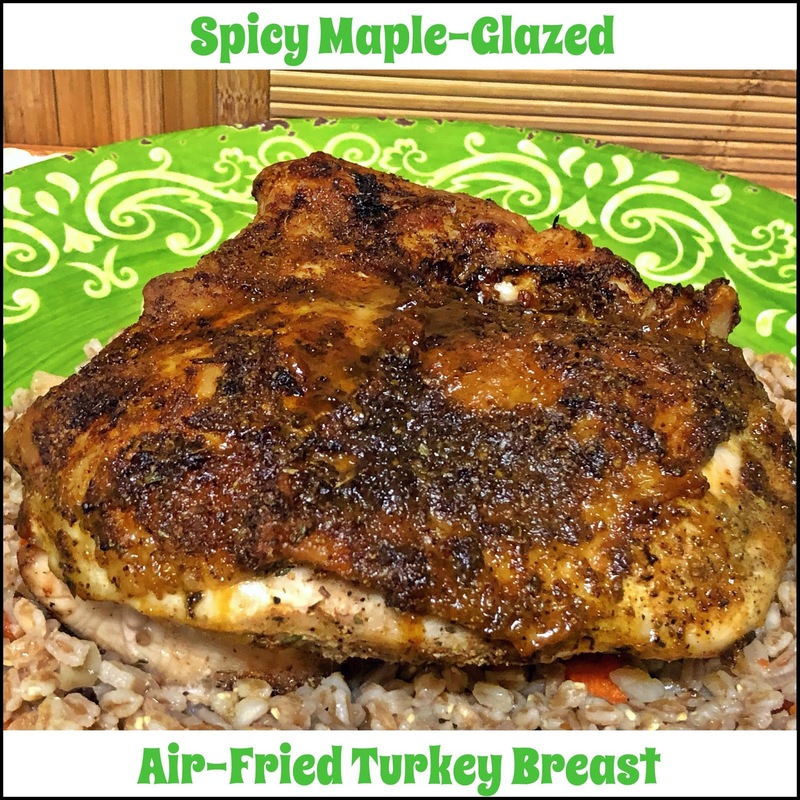 I have been curious about air fryers for months, so I was thrilled when my friends at Hamilton Beach sent me one of their 2.5-liter capacity Digital Air Fryer to use in my kitchen to create a fun healthy recipe to share with you! This air fryer uses hot air and little -- or even no -- oil to cook everything from fries to a bone-in turkey breast! Users have two cook options via the air fryer's digital touchpad: (1) manual mode to select a specific time and temperature, up to 400 degrees, or (2) selecting one of six pre-programmed settings for French fries, chicken, seafood, steak, baked goods, and veggies. When your food is ready, the large-capacity nonstick cooking basket can be removed for easy cleaning. 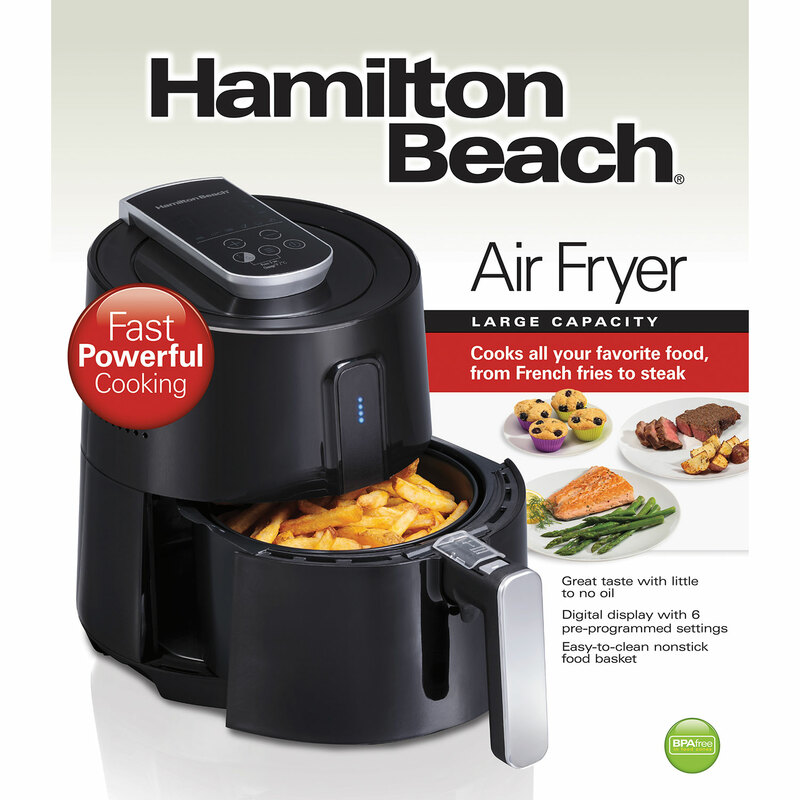 Hamilton Beach's versatile air fryer delivers quick, even heating...so you can use it to cook meats, vegetables, baked treats, and more. Simply place whatever you're cooking directly into the air fryer's basket, select your time and temperature -- or choose from a pre-programmed setting. The air fryer lets you know when your food is finished cooking via an audible beep. 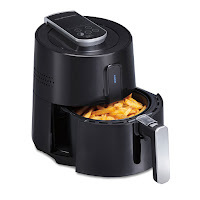 I especially love that the air fryer lets me enjoy delicious foods in a healthier way! Frozen foods require no oil for air frying, and other foods require only a light spritz of oil. A bonus? Because so little oil is used, the air fryer's removable nonstick cooking basket is super easy to wash in soapy water. 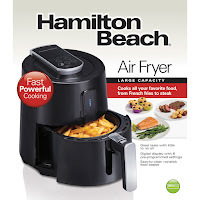 I used my Hamilton Beach air fryer to roast a small bone-in turkey breast in about 30 minutes! My Spicy Maple-Glazed Air-Fried Turkey Breast features crispy skin and moist, tender meat. It's flavored inside and out thanks to a generous amount of a simple homemade rub...and a sweet-spicy glaze. Turkey isn't just for Thanksgiving! This delicious recipe is perfect year-round...and roasting it in the air fryer means it's easy enough to make even on busy weeknights. 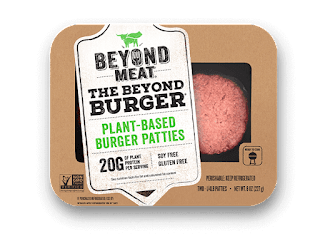 I was recently introduced to a revolutionary new meatless, plant-based protein burger: The Beyond Burger®. This burger patty is the first 100% plant-based burger that looks, tastes, and cooks like a traditional beef burger. Each 4-ounce patty provides 20 grams of healthy, filling protein! What Beyond Burger® doesn't have are GMO's, soy, or gluten. Beyond Meat has identified four main reasons to choose plant-based meats instead of animals: (1) improving human health, (2) positively impacting climate change, (3) addressing global resource constraints, and (4) improving animal welfare. 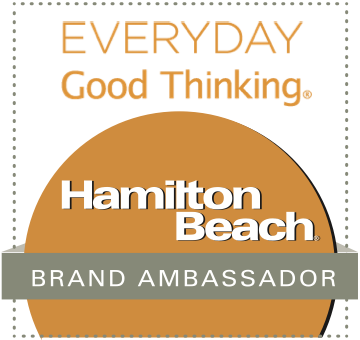 If I can use a product that tastes great and provides that much positive impact? Count me in! I was very eager to give Beyond Burger® a try in my kitchen. 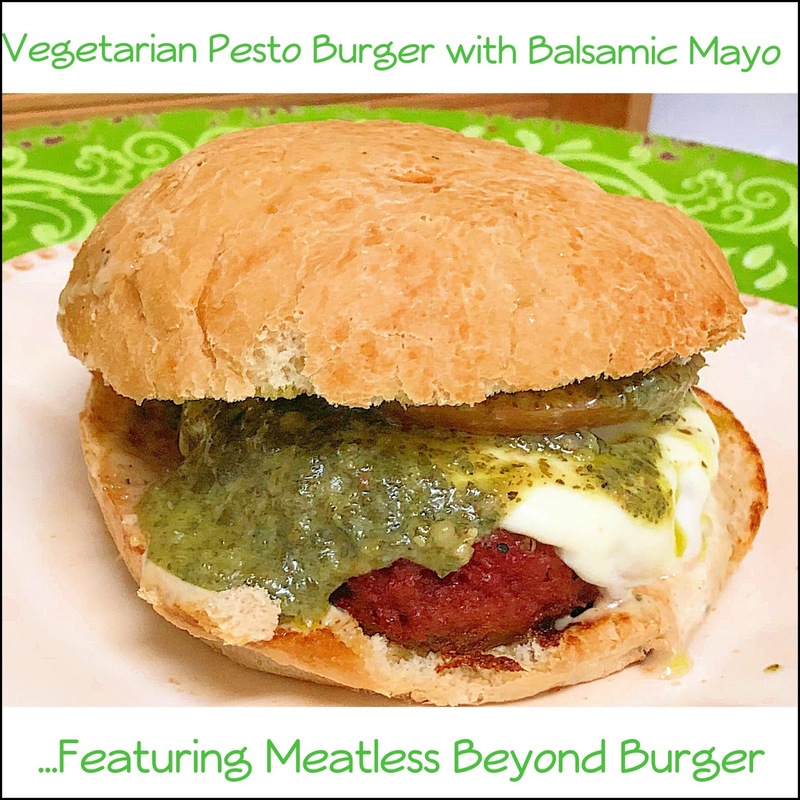 I used it to create my delicious Vegetarian Pesto Burger with Balsamic Mayo. This burger is bursting with big flavor from herbal pesto, a seasoned Beyond Burger® patty, vine-ripe tomato, sautéed shallots, fresh mozzarella, and a quick homemade balsamic mayo. The Beyond Burger® patty was seared outside...and juicy inside. The texture of the cooked Beyond Burger® was very close to a traditional meat burger, and it tastes great! This burger makes eating meatless simple -- we try to eat vegetarian one or two days per week, and Beyond Burger® will definitely help us stick to our healthy eating goals! Mardi Gras is coming up on Tuesday! Why not have a fun at-home celebration? 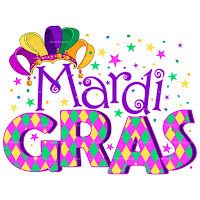 Fire up some festive zydeco music, put on some Mardi Gras beads...and make a simple, spicy dinner. 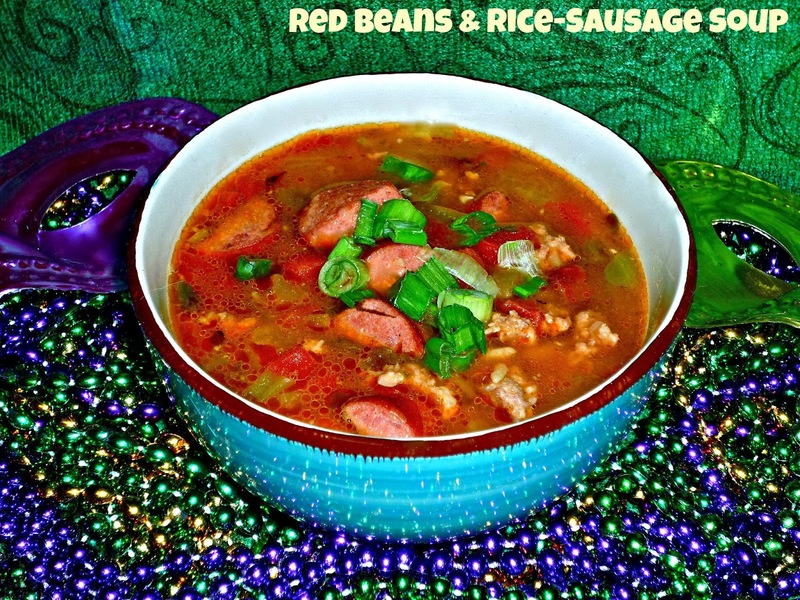 My comforting Red Beans & Rice-Sausage Soup is an economical, delicious meal-in-a-bowl that's perfect for celebrating Mardi Gras! This hearty soup starts with a package of red beans and rice mix, and it's ready to eat in less than an hour. Most of that time is hands off while the soup simmers on the stove, though. This recipe makes a large pot of soup. We typically enjoy large bowls of soup for dinner, then have enough left to freeze a container to enjoy on another busy weeknight! Our home base for the final two nights of our Memphis trip was the newly remodeled Sonesta ES Suites Memphis, located on the city's east side. This extended stay property has been remodeled from top to bottom and offers guests large one- and two-bedroom suites. It's an ideal property for families or couples traveling together -- and the action of Beale Street is a short 20-minute drive away. We stayed in a spacious 850 square foot two-bedroom loft suit. It featured a King bed and full bath downstairs...and a Queen loft with full bath upstairs. The downstairs common area included a living room with comfy couch...and a full kitchen with fridge, stove, microwave, and coffee maker. 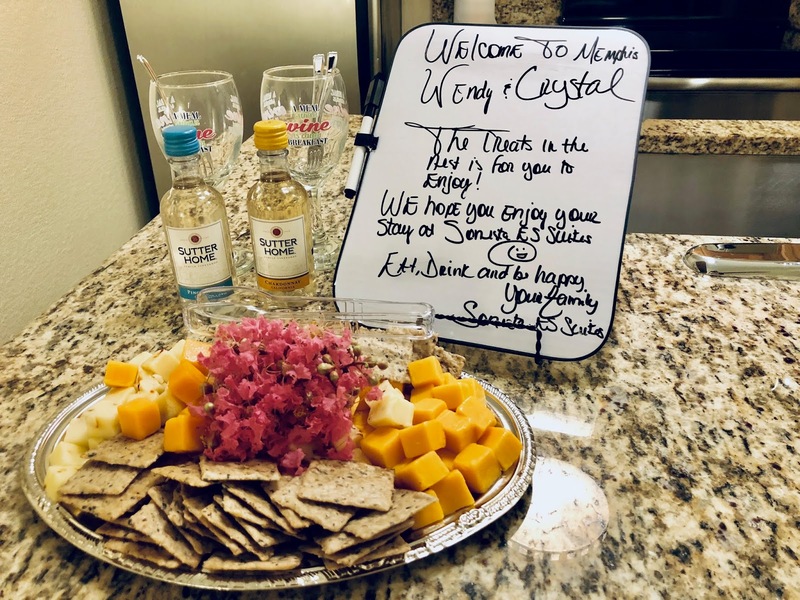 When we arrived, a welcome note, wine, and cheese & crackers was waiting for us on the bar -- such a nice touch! Other amenities offered by the Sonesta ES Suites Memphis include plenty of free on-site parking, complimentary high-speed Internet, and a large flat-screen television. Further, a breakfast buffet of hot and cold menu items is available to guests every morning...but that's not it! Tuesday through Thursday evenings, Sonesta ES Suites Memphis hosts Evening Socials that feature complimentary beverages and light appetizers. As this video shows, our stay at Sonesta ES Suites Memphis was fantastic! Traveling with your four-legged friend? No problem...Sonesta ES Suites welcomes up to two pets per room! A mandatory non-refundable pet cleaning fee will be charged to your account at check in. For stays of 1-2 nights, the fee is $75. For stays of 3 or more nights, the fee is $150. However, if extensive cleaning/repairs are necessary, guests may be charged additional pet fees. 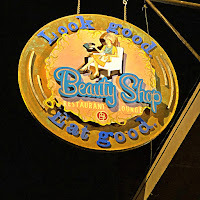 Before long, it was time for us to leave for our dinner reservation at the Beauty Shop restaurant. This hip restaurant is located in Midtown Memphis' Cooper-Young neighborhood. The restaurant is located at the former site of a 50's era beauty shop where Pricilla Presley was once a customer...how fun! Executive Chef/Owner Karen Carrier opened Beauty Shop in 2002. 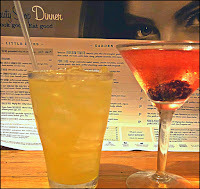 The menu is globally inspired and creative...with a Southern accent thanks to the use of locally sourced ingredients. 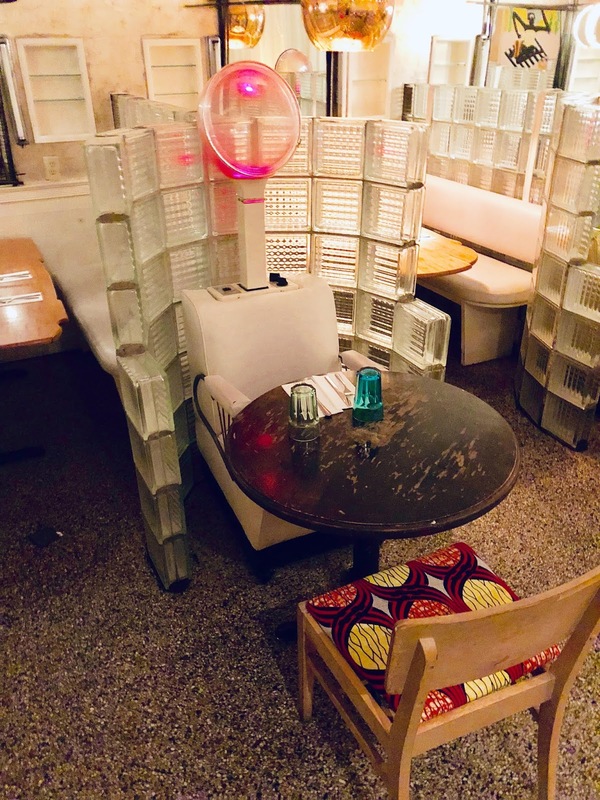 We immediately noticed how the building's beauty shop origins were incorporated into the décor -- including seats featuring hooded Belvedere hair dryers! 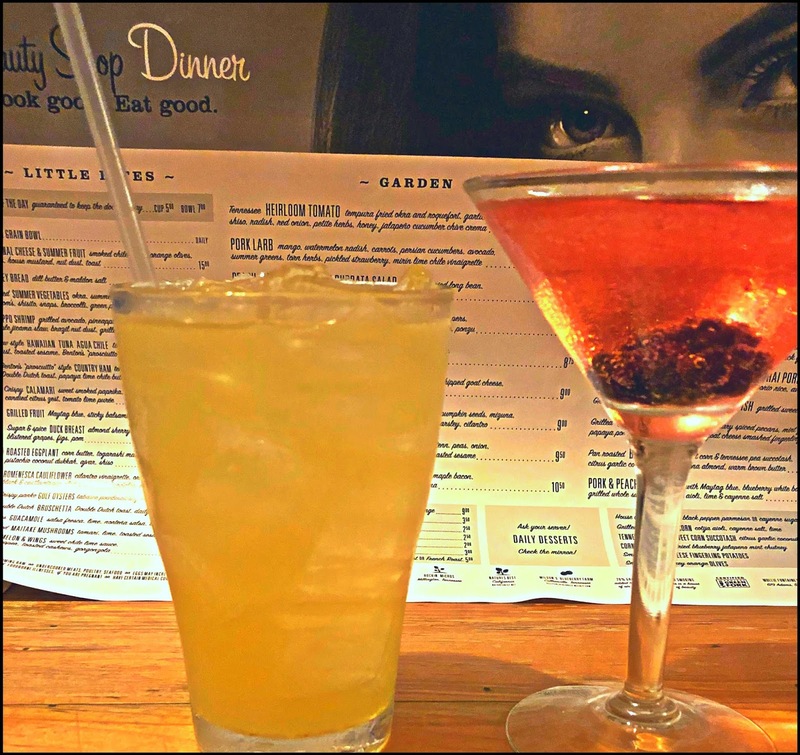 We sipped fun cocktails from Beauty Shop's creative mixology menu while we anticipated the tasty menu items Chef Shay Widmer personally selected for us to try. We started with a quartet of appetizers and salads. First was Watermelon & French Feta Salad w/Mint, Shiso, Pickled Strawberry, and an Aleppo Mirin Lime Vinaigrette. Then came a Tennessee Heirloom Tomato Salad w/Tempura Fried Okra and Roquefort, Garlic Chips, Shiso, Radish, Red Onion, Petite Herbs, Honey, and a Jalapeno Cucumber Chive Crema. The third selection was a Peach, Arugula & Warm Burrata Salad w/Tempura Fried Long Beans, Petite Herbs, and a Sour Cherry Vinaigrette. We also sampled the Hawaiian Tuna Agua Chile w/Tomato, Lime, Kirby Cucumber, Cocoa Spice Dust, Toasted Sesame, Benton's "Proscuitto," Shiso, Cilantro, and Thai Basil. 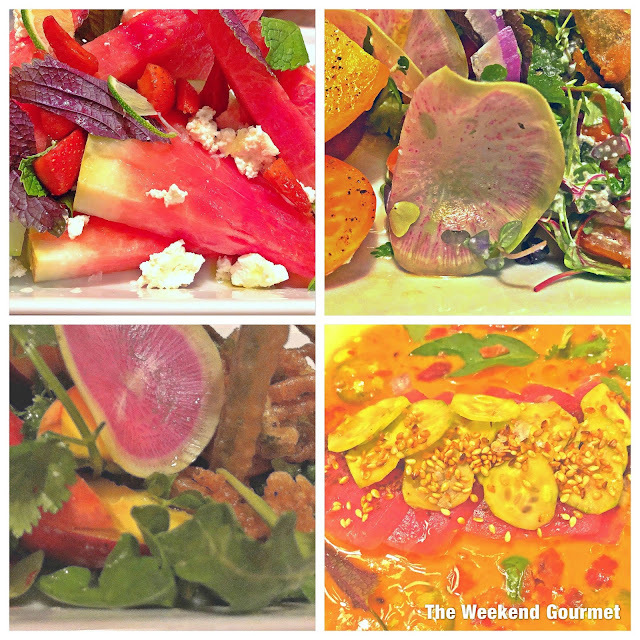 These menu items were light and refreshing, and bursting with fresh produce and bright flavors! 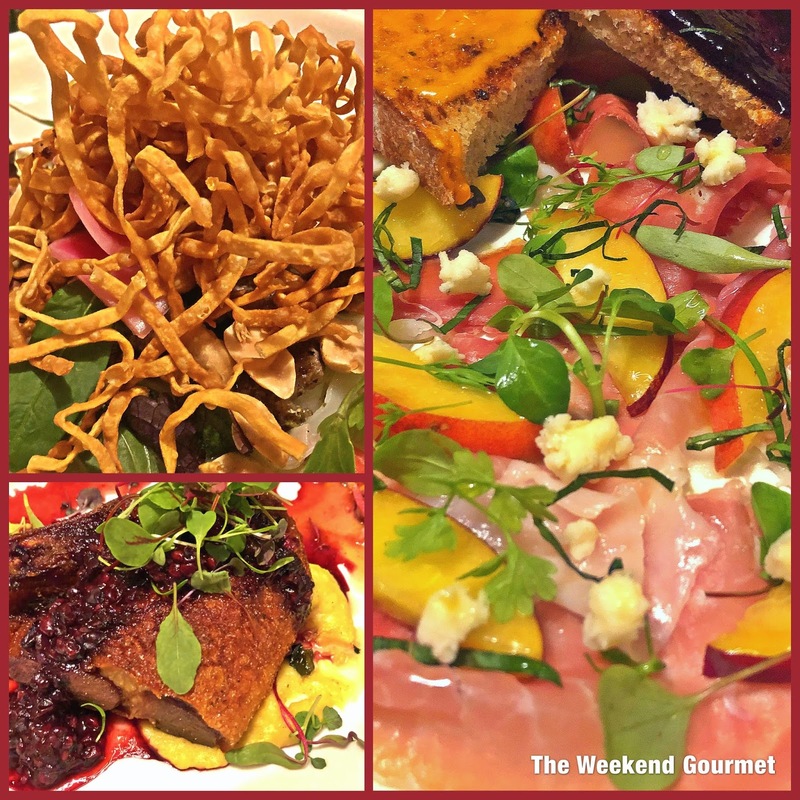 After these starters, Chef Shay sent out a chilled charcuterie plate and two warm main dishes. The Asian-inspired Kobe Beef Lucky Pot w/Coconut Lemongrass Green Curry Broth, Kaffir Lime, Noodles, Watermelon, Avocado, Shiso, Thai Basil, Peanut, Black Garlic, and Bok Choy blew our minds -- so many interesting flavors and textures! We also shared Sugar-Spiced Crispy Duck w/Corn Butter, Muddled Blackberry, Root Vegetables, Toscano Kale & Pomegranate Salad, and an Almond Sherry Skordalia. Our final selection was chilled Benton's "Prosciutto" Style Country Ham served with Tennessee Peach, Petite Herbs, Baby Blue Cheese, and Double Dutch Toast with Papaya Lime Chile Butter and Blueberry Preserves. After dinner, we headed back to the Sonesta ES Suites to get some sleep ahead of our last full day in town. The next morning, we grabbed a quick breakfast at the hotels and headed out for a day of exploring. Our first stop was the Memphis Rock 'n' Soul Museum. For music lovers, this museum is a definite must visit! This Smithsonian curated museum opened in 2001 and is located on Beale Street, as part of the FedEx Forum sports and entertainment complex. 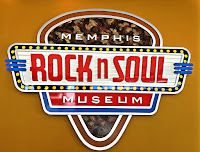 The Memphis Rock 'n' Soul Museum tells the story of musical pioneers who created Memphis music that changed the music world. The museum’s self-guided digital audio tour guide contains more than 300 minutes of information -- including 100+ songs. Visitors explore the museum at their own pace through seven galleries. Included are audio visual programs, 30+ instruments, and dozens of costumes. The informative museum exhibits examine the entire range of Memphis music starting with the field hollers, work songs, blues, country, and gospel of sharecroppers in the 1930-40s. The exhibits then show how this music combined with blues, jazz, rock ‘n’ roll, rockabilly, rhythm & blues, and soul music. 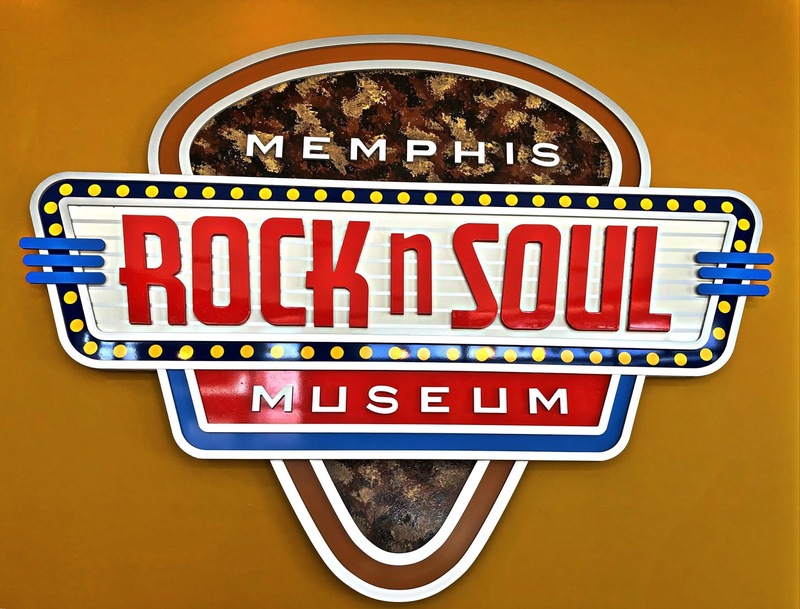 The Memphis Rock 'n' Soul museum and gift shop are open daily from 9:30 AM to - 7:00 PM. Tickets are $12.50 for adults and $9.50 for guests ages 5-17. The museum also offers special discounts for AARP and AAA members, Smithsonian members, and members of the military. After a morning exploring at the Rock 'n' Soul Museum, we were hungry! We hopped in our car and made our way to lunch at Gus's World Famous Fried Chicken in Downtown Memphis. As we discovered during the course of our meal, there's fried chicken...and there's Gus's fried chicken! 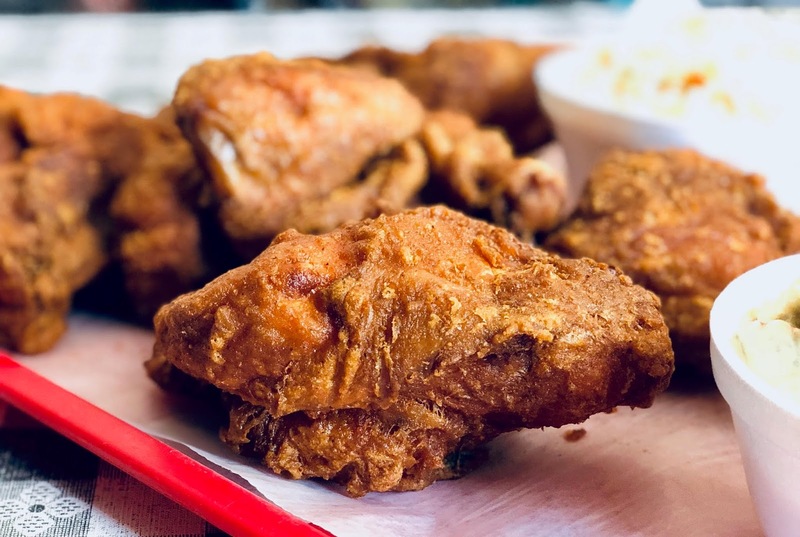 Brined for 24 hours, it's spicy and juicy all the way to the bone...and fried perfectly golden crisp on the outside. 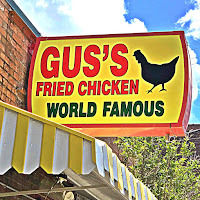 Gus's World Famous Fried Chicken does one thing. They fry chicken...and they do it very well! Their original 1953 recipe belongs to the Bonner family of nearby Mason, Tennessee. 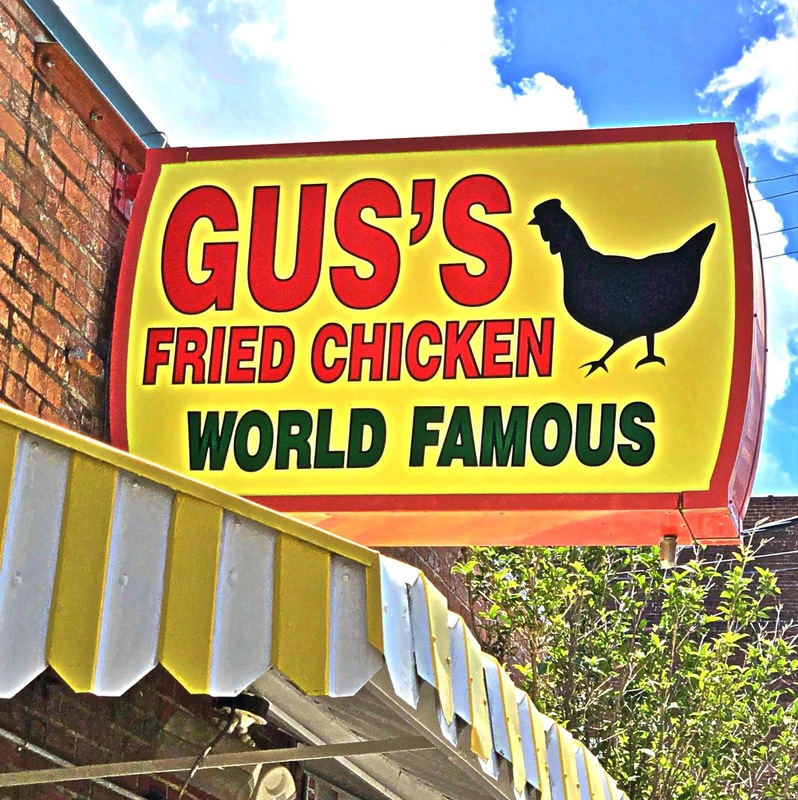 The Memphis location of Gus's World Famous Fried Chicken opened in 2001. 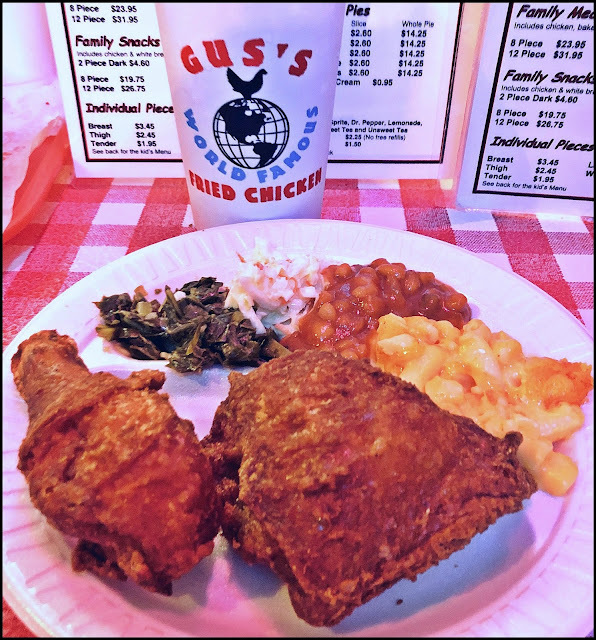 As this video shows, our visit to Gus's World Famous Fried Chicken was casual, fun, and delicious! Gus's is very popular, so try to arrive early to beat the lunchtime crowd. 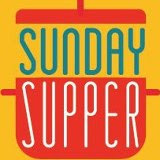 You'll be rewarded with perfectly fried chicken, comforting Southern side dishes, and homey desserts!